If one approaches the subject of man’s effect on climate with an open and sceptical mind, it is difficult to comprehend how the zealots of warmism managed to fool so many people for so long. 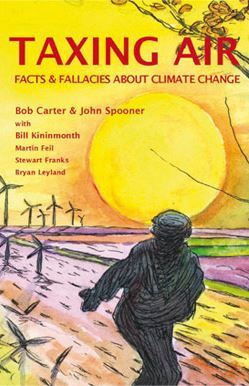 The tide has turned on that little scam since the high-water mark of the Copenhagen circus, and now Taxing Air: Facts and fallacies about climate change, by Professor Bob Carter and Age cartoonist John Spooner, marks the hysteria’s further retreat. Carter and Spooner reach back two decades and provide examples of the means used to manipulate "the science" and the politics by activists, vested interests, power-hungry politicians and empire-building bureaucrats. They were helped, of course, by a gullible and sycophantic media, not least by advocates masquerading as journalists at Spooner’s very own paper. Spooner’s introduction, wherein he recounts his dislike of bullies and intimidatory advocacy, struck a chord with me, as no doubt it will with others who have tried to argue the subject of climate change with its ardently self-righteous, green-eyed apostles. Yes, indeed, unless silencing dissent has always been part of the game plan to save the planet, which the number of green fanatics who have demanded limits on free speech, censorship, even trials for deniers, certainly suggest it has. Climate realists should be thankful though, as apart from the eroding scientific case for drastic and expensive action to ‘stop’ climate change, the warmist zealots have proven to be their own worst enemies. In their eagerness to win the biggest grants and revel in the public eye, they have overreached with wild, ever-changing claims, with their hockey sticks and cult-like preaching. From Al Gore to our own David Karoly, Michael Mann and Tim "No dam will ever fill" Flannery, from feckless financial analysis by Stern and Garnaut to deeply embarrassing and discredited reports from the Climate Commission, this lot never seems to have learned when it would be best to just shut up. We should all applaud them for that. In methodically chronicling the background to the ‘dangerous’ anthropogenic global warming scare, the lack of ethics, integrity and most of all the paucity of evidence weighed against the social and financial cost, Carter and Spooner frame a clearer perspective in which to judge the appalling travesty on science and the industrialisation of political lobbyists and rent-seekers that climate change advocacy has become. We all know well-meaning people who have swallowed the climate scare stories hook, line and sinker. Many are losing the faith, but some still cling to visions of the baked and basted world ahead. Do them a favour and the planet, too: give them a copy of Taxing Air. At least you will have tried to save them from further embarrassment. I’m commenting after some 15 months having alapsed since this article first appeared. I bought and read the excellent book “Taxing Air” at the time. 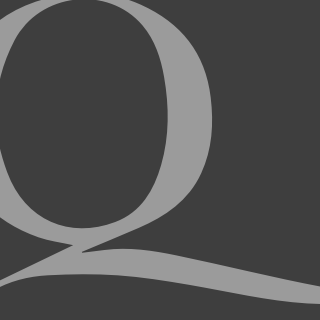 It is a continuing source of frustration that the vast majority of world leaders – even the Pope- as well as journalists, commentators and assorted opinion makers continue to push the rickety cart a CAGW. One hopes that the much anticipated gabfest in Paris in December will turn out to be a monumental farce, a-la Copenhagen. That was a very serious setback to the scam at the time, let’s hope this will be as well.